Steven Harold Flaherty beloved husband, father, son, brother, uncle, grandfather, teacher, and friend passed away and was welcomed into his heavenly home by our Savior Jesus Christ on Tuesday, October 18th, 2016. He was born in Lodi, California on November 27th, 1950 to Harold and Clara (Siegle) Flaherty. Steve graduated from Lodi High in 1969 and served in the Naval reserves from 1972-1975. He then graduated from UC Santa Barbara in 1975 with a BA in History. 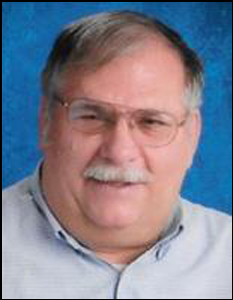 In 1976 he received his teaching credential from CSU Stanislaus and taught in the Lodi Unified School District for 34 plus years, where he influenced many lives. In 1974 he married the love of his life Barbara Alice Wire in Indio, California. They had four daughters, one adopted son and also fostered many children over the years. He faithfully served as a church deacon and with the Gideons International for many years. He was preceded in death by his parents, brother Ron, and son Jon. He is survived by his wife Barbara, their four daughters, Amanda (Amy), Cheryl, Kelin, and Rebecca (Becky); his sister Jean, and his brother Bruce; grandchildren Kelin's: Clara and Christian; Cheryl's Alyssa and one on the way; and Becky's: Peyton and Parker. The family will have a private memorial service. In lieu of flowers, donations can be made in his memory to the Gideons International, Tri Lakes Baptist Church, or directly to the needs of his family.